Further, unit shall mean beneficial interest of an investor in the Investment Vehicle and shall include shares or partnership interests. Downstream investment by an Investment Vehicle shall be regarded as foreign investment if either the Sponsor or the Manager or the Investment Manager is not Indian 'owned and controlled' as defined in Regulation 14 of the Principal Regulations. 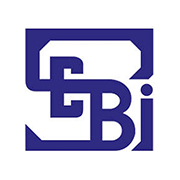 In case the sponsors or managers or investment managers are organized in a form other than companies or LLPs, SEBI shall determine whether the sponsor or manager or investment manager is foreign owned and controlled. The extent of foreign investment in the corpus of the Investment Vehicle will not be a factor to determine as to whether downstream investment of the Investment Vehicle concerned is foreign investment or not. Downstream investment by an Investment Vehicle that is reckoned as foreign investment shall have to conform to the sectoral caps.